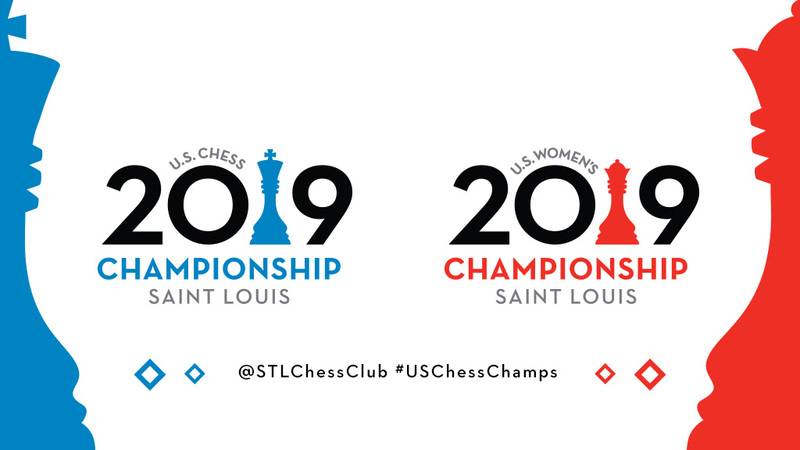 The fifth round of the U.S. Championships was a tamer affair in terms of decisive results, in both the open and the women’s section. With that being said, there were still plenty of intriguing stories written throughout the day. The games are heating up, and with every passing round, mistakes become costlier. Let’s take a closer look at the key games of the round! Despite going into this round with the same score, this match was an affair between two players with very different tournament situations and overall form. Akobian has been struggling to leave his mark and even felt frustrated at times for not being able to convert his chances. 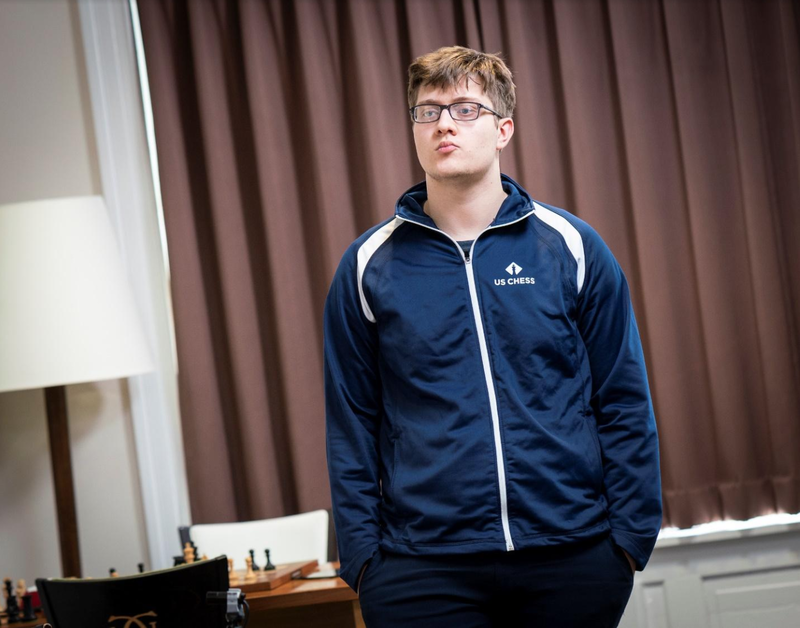 Sevian on the other hand has been playing very lively games, always looking to create chances and complicate matters on the board. This difference in approach seemed to be playing out during their direct encounter as well. (Analysis available online). Despite the peaceful result, this was one of the key games of the round. Just like in the game between Var and Sam, the trajectory and general trend of these two players differed significantly. Dominguez was coming off a miracle save against Caruana, which surely helped boost his confidence. Xiong was coming off a difficult loss with the White pieces against Robson, which certainly affected his mood. Dominguez was well prepared against Xiong’s Najdorf and got a pleasant position out of the opening, with the fight being disputed around the d5 square. The game took an unexpected turn when Xiong played the careless 17…d5? allowing White to seize the initiative with the powerful 18.b4!. Dominguez played with poise throughout the middle game, and it looked as if he would take the full point home. But chess is never that easy, and factors such as time come into play. As the players were approaching the time trouble zone, Dominguez failed to find the best moves and let his advantage slip when he exchanged the queens. This allowed Xiong to use his bishop pair and create enough counter chances and equalize the game. A draw was agreed in a rook and pawn endgame at move 65. Gareev has been in the spotlight, for reasons that didn’t have much to do with his chess performance. 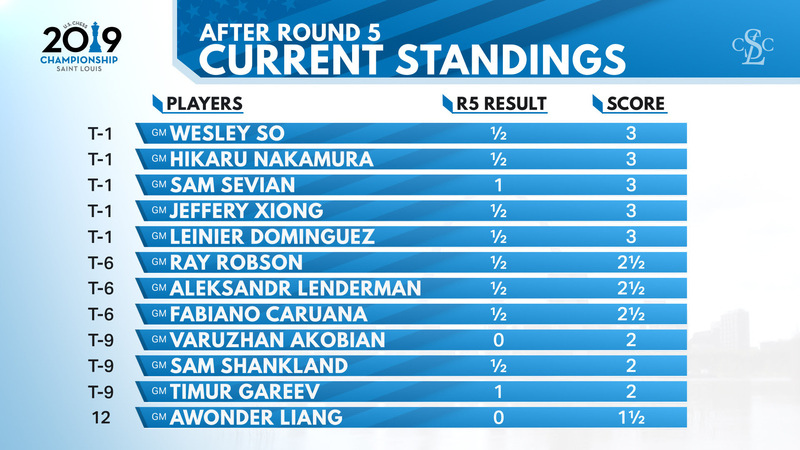 Today he faced the youngest player in the field, Liang, who has been struggling in this event as well. The game started with a balanced reversed Sicilian hybrid. Liang seemed to be handling the middlegame better than his opponent and was slowly building his advantage. Unfortunately for him, he did not find the powerful 28…Nd4! and with that his advantage dissipated. The players entered an equal endgame, but right before the time control Liang played the inexplicable 40…Nf4? This move was simply a blunder, as it allowed Gareev to win a pawn and start pressing for a victory. 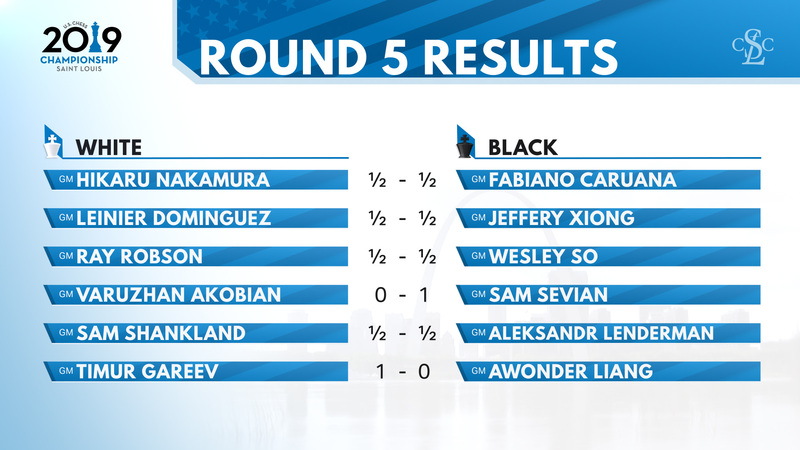 Liang’s defense was subpar, and Gareev swiftly converted the rook endgame with an extra pawn. This was an important match due to the tournament situation and individual trend, as both players were coming into this game with back to back victories under their belt. 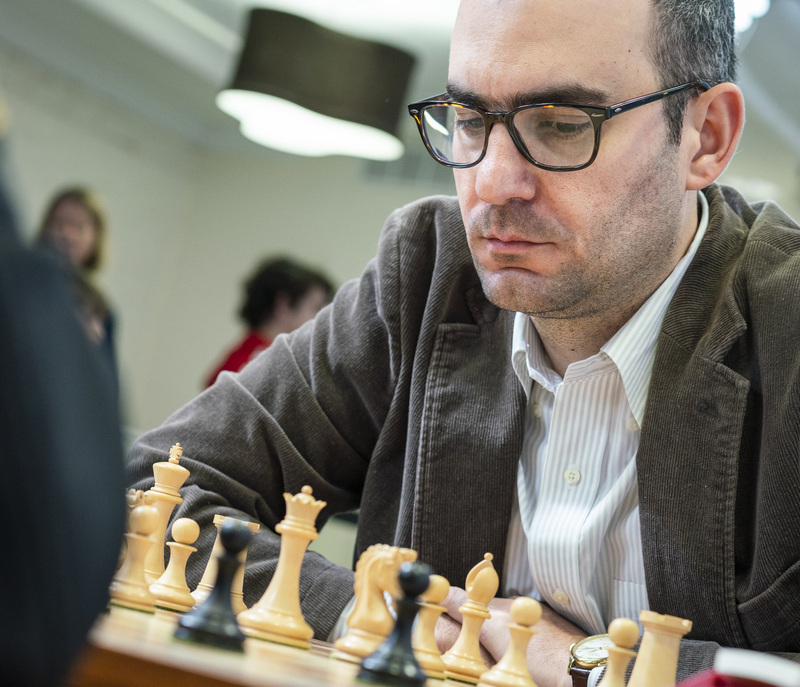 There were also some scores to be settled, as Eswaran was the one to knock Abrahamyan down in the last round of the 2016 championship when a simple draw would have been enough for the latter to win the title. Let’s see what happened this time, as GM Boros once again provides his detailed analysis, available online. 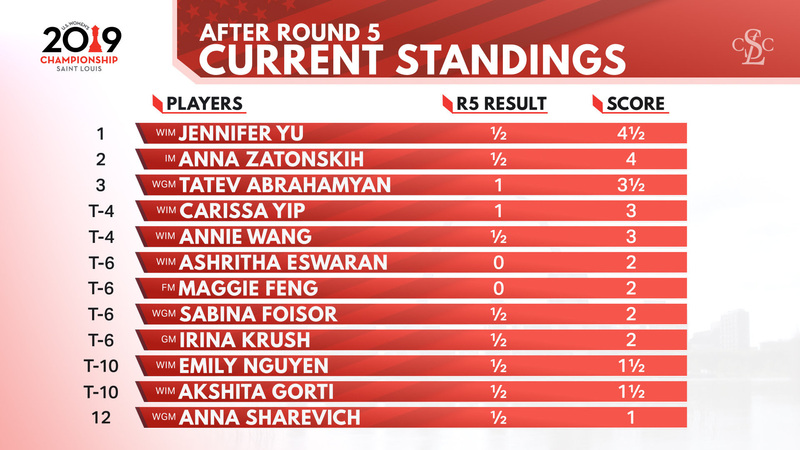 Yip has been having a very animated event, as she has yet to make a single draw. 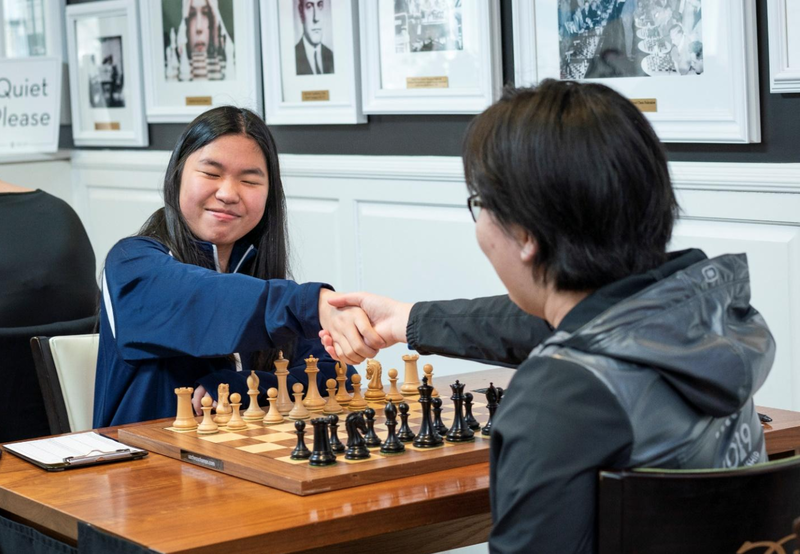 Her aggressive and fearless brand of chess has been on full display, and her games have always attracted a wide audience due to their tactical nuances. This round was no different, as Yip decided to take a more topical stance against the French by following the main lines after 2.d4 instead of 2.f4?! 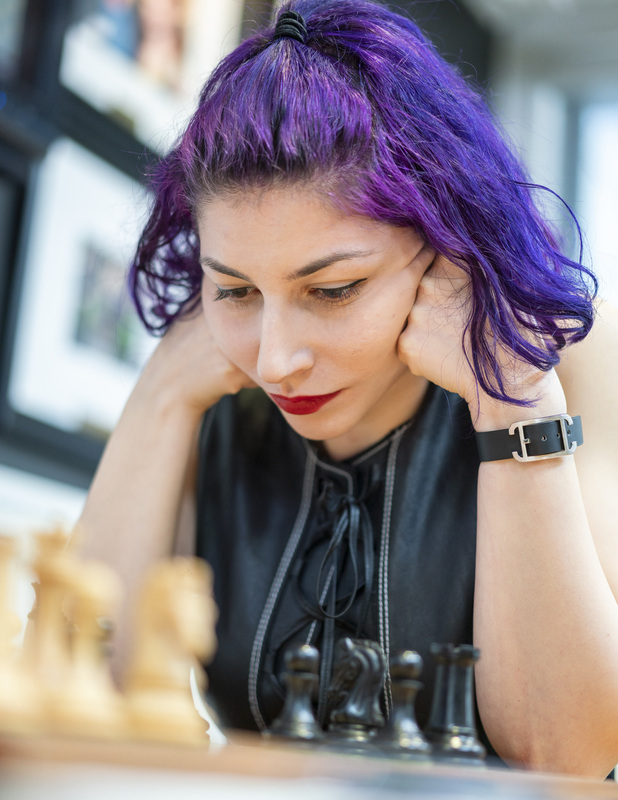 which she played against Abrahamyan. Feng did not fully understand the position and started mixing ideas early on with 11…Qc7 & 12…Kg8 which gave Yip enough time to structure her attack on the kingside and blast open the position with 15.g3! Feng’s position quickly became hopeless, and Yip confidently cruised to victory. With Abrahamyan winning her 3rd game in a row and Yip slowly getting back into the mix, the Women’s section is shaping up to be a fierce battle in the second half of the event.